As one of three sailing training ships, built in pre-World War II Germany, the USCG Eagle began her legendary career at sea as the SSS Horst Wessel. Designed by John Stanley as a Gorch Fock class cutter, she was launched on June 13 1936, completed on September 16, and was commissioned the following day. Present at the launch and christening were Adolf Hitler and the Nazi politician Rudolph Hess. Constructed by the historic Blohm and Voss Shipyards, the SSS Horst Wessel emerged at 295 feet long, weighing 1824 tons. Powered by engine and sail, she operated with three masts and a 1,000 horsepower diesel engine. Commanded by Captain August Theile, the Horst Wessel set out on numerous training exercises in Europe and the Caribbean, as the flagship of the Kliegsmarine sail training fleet, until being decommissioned in 1939. Between 1939 and 1942 the Horst Wessel continued to serve as a training ship while she was docked at port, prior to being recommissioned in 1942 with impressive armaments. Following the end of World War II, the SSS Horst Wessel was adopted by the United States and commissioned into service for the Coast Guard on May 15, 1946. 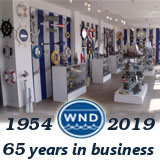 Rechristened the Eagle, she sailed from Bremerhaven, Germany the following month, to her new home in New London, Connecticut. 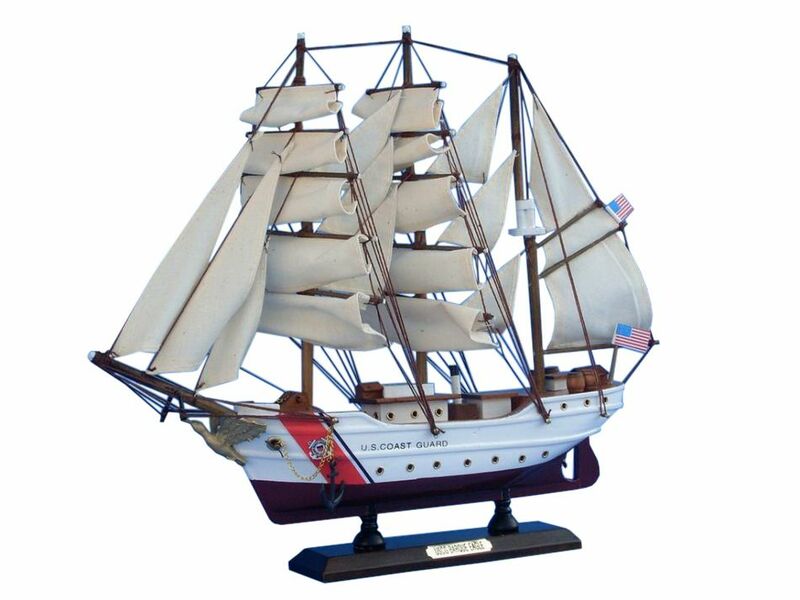 Continuing her original purpose, the USCG Eagle was stationed at the United States Coast Guard Academy, becoming a training ship for countless Coast Guard students. Venturing out on numerous training courses throughout the year, upper class students are afforded the chance to practice leadership skills while underclass men and women act as the crew. 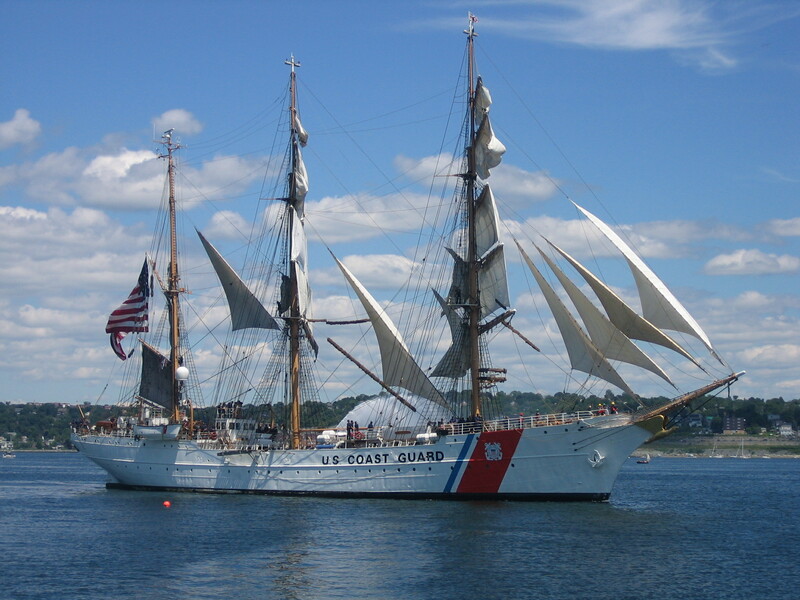 Throughout the decades since her commissioning into the United States Coast Guard, the USCG Eagle has also served as a diplomatic ship, participated in Tall Ship races, and made appearances at festivals, aside from her lengthy training voyages. Continuing with her original mission, the USCG Eagle sails across the globe to this day, each year taking one long training cruise to the Caribbean or Pacific Coast, or along the Atlantic coast of Europe and America. As of this year the USCG Eagle celebrates her 75 anniversary, still training students as she always has, still gliding through the seas as proudly as ever, and still a shining example of the beauty, grace, and magnificence of a true sailing vessel.